This is actually a feature of all Audi cars and not just the TDI models. When we first drove an Audi A6 nearly three years ago, the first thing apparent was that it could be driven across Kansas barely touching the wheel. Audi’s track like they are on rails and corner with that same impeccable character. A year later, driving an A8 up the tight winding arcs that define the drive from the Evergreen Park and Ride to the highway up Mount Evans, the flagship took the curves as though riding a Merry-go-round thanks to its articulated rear wheels that assist the front wheels steering. Ah, but we’re getting ahead of ourselves – something easily accomplished whenever talking about or driving an Audi. Audi TDI vehicles have the same kind of low-end torque as you find in some full hybrid vehicles, but cost a bit less. They are quick off the line with rapid acceleration on a flat roadway or when climbing a grade. The Audi A6 TDI is rated for 38-mpg at highway speeds on the open road, so it is a standout choice for intercity commuters who don’t spend much time in gridlocked conditions, though start/stop technology could change that easily. Nevertheless, if you spend most of your time in urban areas and rarely find an open road before you, the hybrid car might make more sense. That will rapidly change with the advent of diesel hybrid vehicles. Another thing found in all Audi vehicles, but part and parcel of the diesel powerplant as well. Clean and efficient under the hood, but luxurious and connected within the cabin – it just doesn’t get much better than this. The aforementioned mountain drive in an Audi A8 was with a brand technician who pulled up an image of the car on the display screen and by touching this and that part of the vehicle display, he tweaked the throttle, suspension and gearing to better suit the ambient mountain roads while moving. The big, posh sedan rounded the tiny circular curves like it was hanging onto a pole – while tugging on the reins to go a great deal faster. 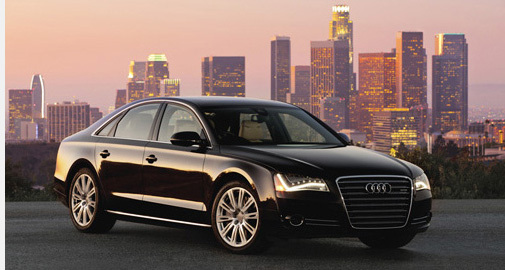 Then we can’t overlook the fact Audi has brought the first cars to America with 4G LTE connectivity. See points 1, 2 and 4 and we’ve already explained this point. Audi’s are a Jumping Jack Flash to drive – even if they are burning diesel – it’s just another kind of gas. In conclusion, if you live on the outer rim of a major metropolitan area and do most of your driving outside clogged city freeways, an Audi diesel may be just the car or SUV for you. If you live in the ex-burbs and never venture beyond the suburbs, you are going to like what an Audi clean diesel vehicle can do for you.